We just went through a nightmarish five years. No, this isn't about making marketing great again. Here's what Amazon did. They installed the Fear of God in Us. Think about when you are fearful. Do you make the best decisions? Have you ever watched that commercial where the youngsters are being stalked by a serial killer and they hide in a garage and one of them is breathing on the other person and then they could escape in a running car but they don't? The commercial makes for a nice story about the dilly of a pickle we got ourselves into by trying to "Respond to the Amazon Threat". In retail, we embraced "omnichannel" ... thinking that we could "win" the customer by aligning all of our channels. We though that was what the customer wanted. But we didn't evaluate our own brand ecosystem, did we? For if we did, we would have asked ourselves a valuable question ... where is the next new customer coming from? If our existing customers wanted an integrated experience, what did new customers / prospects want? We didn't bother to evaluate that question. New customers dried up - and they dried up in the retail channel, sending comps into the tank. Then, existing customers slowly migrated online (given that we invested in that channel the most), further depleting the in-store experience. 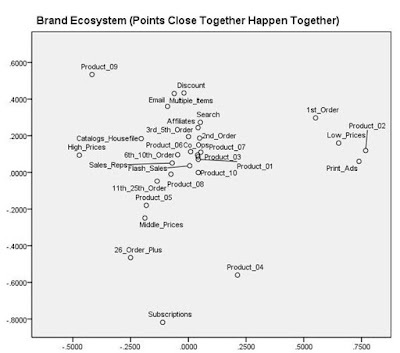 Had we understood the retail brand ecosystem, we would have made very different choices. Same thing in catalog marketing. 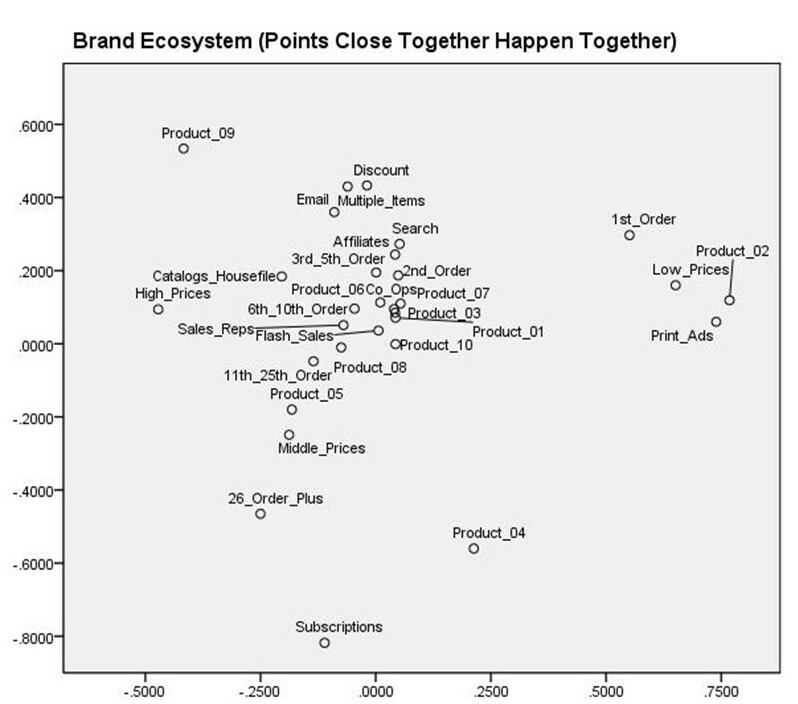 Look at where catalogs fall within the brand ecosystem above ... they are the only place where half-way loyal customers buy high-priced items. The rest of the ecosystem focuses on low prices or average prices or discounts/promotions or sales. Heck, one could say (in this case) that the business and/or the customer pushed the catalog right out of the brand ecosystem. It's clear that nobody is studying the role of the catalog in this brand ecosystem, for if somebody were studying the role, they'd question why it is becoming an outline within the entire ecosystem? Or, somebody would question why the catalog is the only place where high-margin, profitable transactions take place, right? Either way, somebody would be asking questions. That's why we map out the brand ecosystem. We have to learn what role each customer-facing element of the brand plays in the overall brand ecosystem. Once we understand the brand ecosystem, we can begin implementing customer acquisition strategies that help grow the business most effectively. And, we can improve merchandise productivity, because we understand the customers and channels where various merchandise categories perform best. Would you be able to expand more on the importance of building high value orders and customers in the future and experience with numbers around that? I will write something about it in a few weeks, though it has been my experience that chasing AOV is good in the short term and not good in the long term.